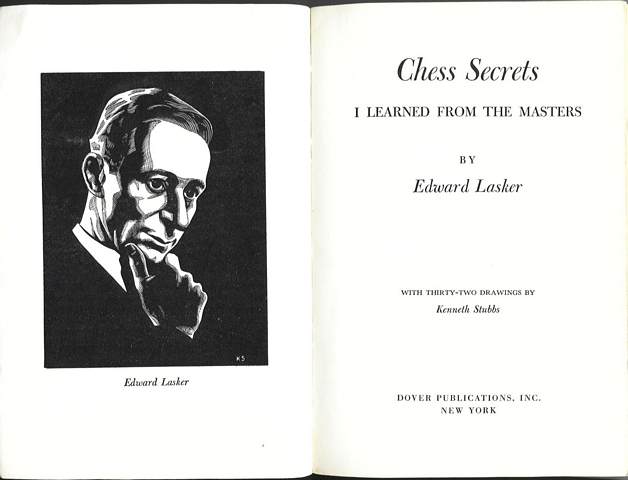 Kenneth Stubbs was asked by Edward Lasker to illustrate his 1951 book, Chess Secrets I Learned from the Masters with 32 drawings of chess masters. In the book's preface, Lasker wrote: "Kenneth Stubbs' cartoons will do much to create a vivid impression of this group of unique men. He has caught their characteristic expressions with remarkable felicity." Displayed below are the 32 illustrations from the book.